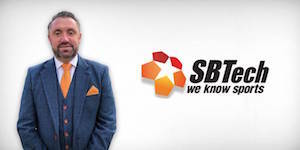 SBTech has appointed Dave Hammond as its new chief operating officer. Hammond has 25 years of experience in the industry, having previously worked at companies such as Inspired Gaming and Paddy Power Betfair. In his new role, he will manage the global operations of SBTech, with a focus on operations and delivery as the company continues to expand in existing and new regulated markets. His remit also involves overseeing the company’s technology, research and development, operations and business analytics teams. Richard Carter, CEO, SBTech, said: “We’re delighted to have appointed Dave, whose vast operational experience and proven track record of implementing high growth strategies in a host of senior industry roles will add huge value to the company as we continue to grow in the 20-plus regulated markets we currently operate in.